I have fond memories of my twice weekly lessons with Sun Yü-Ch'in Laoshih. However, when I first met him I was very nervous. 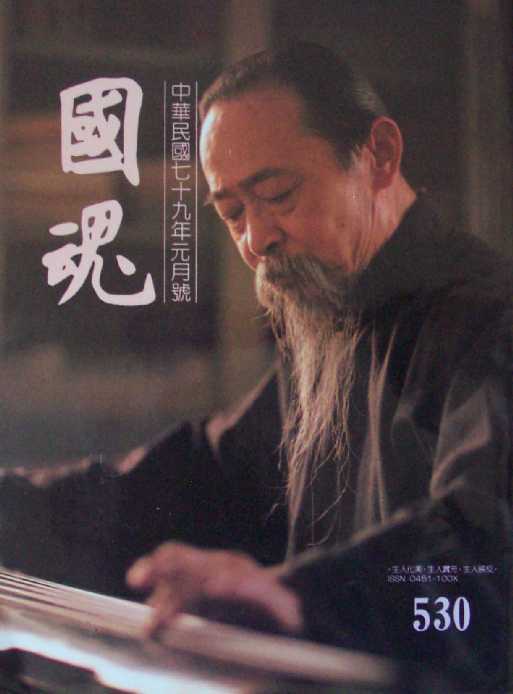 I had become interested in the ch'in because of reading Lore of the Chinese Lute by the Dutch Sinologist Robert van Gulik; but I remembered reading there that one traditional point-of-view was that the ch'in shouldn't be taught to foreigners. After all, we could never really understand Chinese, the language of the sages; how could we understand the music of the sages? I was introduced to Sun Kung by Professor Chuang Pen-Li. I had come to Taiwan in 1974 from the University of Michigan, in the United States, where I was studying Chinese language and Japanese music. There was no professor of Chinese music, and this was why I had to go to Taiwan. The professor of Japanese music at the University of Michigan knew something about Chinese music. In fact, he had written an article on it in the Encycopaedia Britannica, so he knew the experts in the field. It was his opinion that, at that time, in Taiwan it was too easy to get the wrong teacher, one who would not give you rigorous teaching in an authentic tradition. He had nothing against modernization. He just felt that, if you were going to modernize something, first you had to master its tradition. He thought Chuang Pen-Li could guide me in the right direction. Later, Sun Laoshih told me that when he received the call from Professor Chuang, he wasn't sure what to do. He was of course aware of the prohibition about teaching the ch'in to foreigners.2 On the other hand, it seemed to him as though the Chinese were only interested in Western music. He felt he had hardly any serious students. Most of them were girls studying at the art college in Pan Ch'iao. After they graduated they would get married and stop playing. Maybe, he told me, if the Chinese who worshipped Western music saw a Westerner studying Chinese music, they would listen again to Chinese music with new respect. Was this true? I think there was some truth in it, but probably Sun Kung was mostly joking. If it really were true, this would put a large obligation onto me. But I never felt that Sun Laoshih tried to put pressure on me to do anything. He seemed surprised I wanted to study with him twice a week -- he said it was only necessary to come once, like the other students. He also seemed surprised I wanted to study the tablature carefully -- he said it was only necessary to copy him. He never seemed to get impatient when he showed me many times how to play something, but I still did it wrong. I am sure he must have felt frustrated because my Chinese wasn't better. When he tried to explain to me some philosophical point about playing ch'in, he could see I often didn't understand; and he would patiently explain it again. I tried to learn all the pieces Sun Laoshih could play. Not many students did this, so when we began a new piece he sometimes hadn't played it in a long time, and would forget something. But even while he was re-learning an old piece I could feel in his music the sounds of a gentleman, a person who had great respect for his traditions. Maybe this was the most valuable lesson. Have respect for the heritage passed down by those who went before. Sun Kung once said he would never play Kuangling San because it was too violent. As a Westerner I might say in this way he was being true to himself. I think he felt that this was the way he was being true to his heritage. Sun Yü-Ch'in taught me so many things, but because my Chinese is still rather bad, I never felt I could adequately express to him my gratitude for his teaching. But I feel that even in English I cannot express very well such feelings. Maybe this is why I like to play music. I hope that when I play I can in some small way "take the ch'in to represent the words". A translation of the above was published in the program for his memorial concerts, August 28-29, 1990. An online version of that Chinese translation is not yet ready. 2. More on such prohibitions at 14 Inappropriate times for playing the qin.